Furthermore you will require much knowledge of general moves such as crouch-jump with slipping over a high platform, and of course the acting of bosses or various enemies. Although this hack is designed to be on the absolute limit between 'Possible and Impossible', as the name already says, I beta-tested everything in the game to make sure that everything is possible to execute in realtime. It will just require insane amount of skill, which without alot of practise only the absolute experts would have. If somebody indeed manages to beat this hack, there is still a challenge left. Try to get 100% of all items! Some secret rooms will be extremely hard to find. Those who can reach both goals, deserve without a doubt a honor for being one of the best and most creative Super Metroid players of all time! 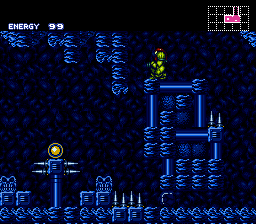 I also want to thank Jathys for his helpful support and especially for the awesome Super Metroid Editor 'SMILE'. 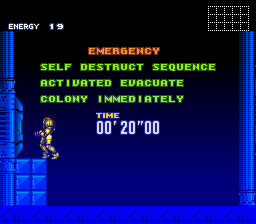 Without it, nobody could hack Super Metroid on such a level! And lastly, this hack has been thoroughly tested, but if somebody still finds some bugs, irregular glitches or freezings in the game, please let me know. PM or email me to Saturn-@hotmail.com and I will fix them as soon as possible. There are surely many more 'surprises' waiting for you, so I hope you enjoy the hack!